This was the challenge posed by the new DILG 12 Director Josephine C. Leysa as she led the 1st Management Committee (MANCOM) meeting for CY 2019 which was held recently. The message was well received by the MANCOM members who were present during the two-day activity, which was highlighted by the strategic planning workshop. Assistant Regional Director Lailyn A. Ortiz, CESE, on the other hand, served as the head workshop facilitator. The MANCOM members were divided into groups to make an assessment of the last year’s performance while looking at the organizational strengths, weaknesses, opportunities, and threats (SWOT). At the end of the two-day session, the participants were able to synthesize and determine the overall organizational realities that were crucial in identifying the necessary strategies to achieve the CY 2019 targets. One of the thrusts of the Office is to bring its services and people to the communities through the media networks, including the social media, in the region. 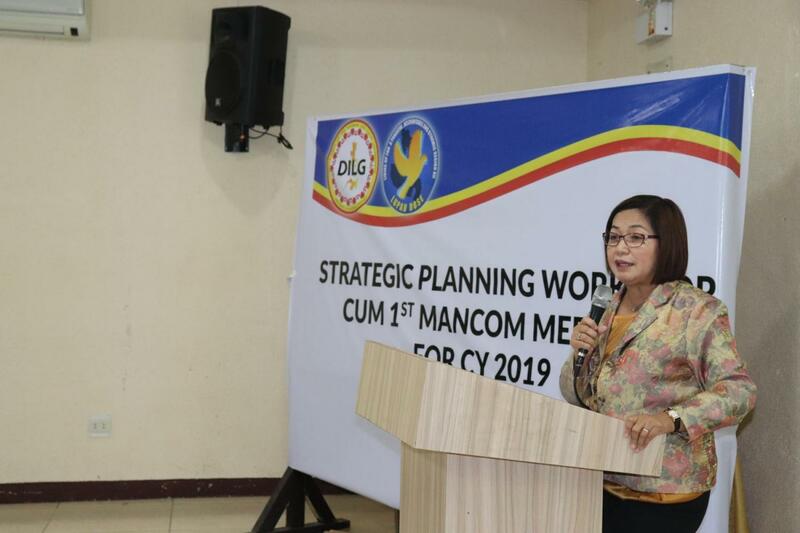 Other significant highlights of the activity were the Regional Director’s presentation of her policy directions, the presentation, approval of the CY 2018 Gender and Development (GAD) accomplishment report and the setting up of the DILG XII calendar of activities for CY 2019.